MANILA, Philippines - To stop prank callers from impeding the operations of the 911 emergency hotline, Sen. Richard J. Gordon is calling for the urgent passage of the SIM Card Registration bill, which he filed last June. Sen. Richard Gordon has proposed a measure to stop 911 hotline prank callers. “We can’t have prank calls and dropped calls congesting our emergency hotline so much so that legitimate callers would find it hard to get through. I have the solution for this – my proposed measure which seeks to require the registration of both post-paid and prepaid SIM cards. With SIM cards registered, prank callers will be deterred because they can easily be identified and tracked down,” Gordon said in a press release. The nationwide 911 hotline, which was launched by the Philippine National Police on Monday, August 1, received a total of 2,475 calls from midnight to 7 am. Of these calls, 12% or 304 were prank and 45% or 1,119 were dropped. Because of this, Philippine National Police (PNP) Director General Ronal “Bato” deal Rosa issued a threat against prank callers. Senate Bill No. 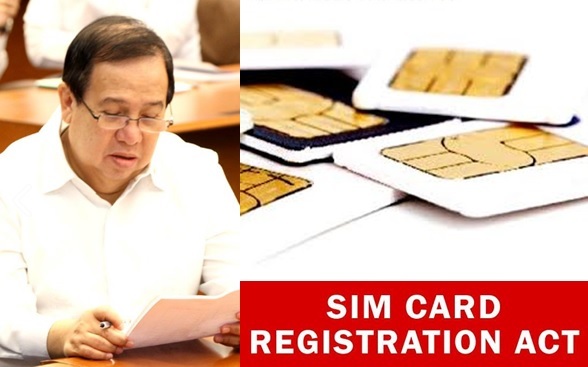 105 or the SIM Card Registration Act aims to require the registration of both prepaid and postpaid SIM cards used in mobile phones to prevent crimes and enhance peace and order in the Philippines. Aside from deterring prank callers, Gordon said that passing the bill as a law will enable authorities to easily identify and track down criminals who commit estafa, kidnapping and other unlawful activities. “Mobile phones are useful and convenient tools of modern life. While mobile phones have brought speed and efficiency to our transactions, there are individuals who take advantage of this modern technology to commit crimes faster and with greater facility. When used maliciously, these become dangerous tools of crime,” Gordon added. If the bill becomes a law, SIM card buyers will be required to present a valid ID with a picture and accomplish a registration form provided by the mobile phone company of the SIM card being bought. Sellers will also be required to submit the registration form to the mobile phone company within 15 days from the date of purchase. Meanwhile, existing subscribers will be required to register their SIM cards with their mobile phones within three months once the law becomes effective. Otherwise, their SIM cards will be deactivated. Individuals guilty of violating the law will be fined P5,000 to P50,000.